If you have a Senior Aggie graduating in May 2019 or August 2019 or December 2019, the Ft. Bend Aggie Moms have a special gift for your graduating student! Deadline is Friday, April 12. E-mail us at ftbaggiemoms@gmail.com with the subject line “Senior Gift.” Please include your name, your student’s name, your cell phone number and e-mail address for notifications. This gift is for any graduating Aggie from the College Station or Galveston campus whose primary residence is Ft. Bend County. These senior recognition gifts will be presented at the Monday, May 13 Aggie Mom General Meeting. We will provide all of the details after we receive your contact information. 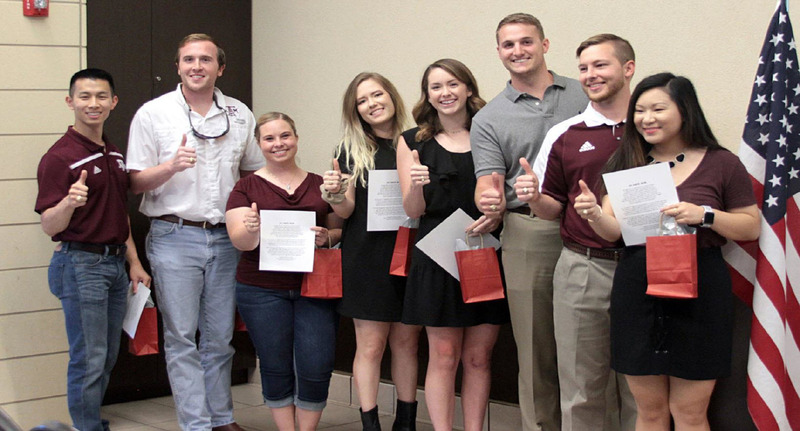 A total of 25 Ft. Bend Aggie students were honored for their 2018 graduation with traditional Aggie ring crest paperweights. Congratulations! 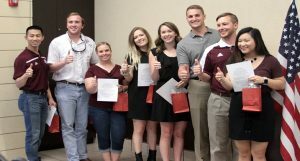 The Fort Bend County Aggie Moms’ Club honored graduating seniors Jeremy Beaty, Ryan Brown, Brian Buckle, Katherine Cornell, Amy Dodson, Emma Gaas, Maisie Harries, Collin Haun, Jacqueline Hickl, Emily Hughes, Colin Kirchof, Grant Lincecum, Lauren Teresa Holladay, Macey Mulcahy, Zach Ransome, Michael Sallean, Joshua Samuel, Patrick Seiler, Mason Smith, Mallory Smith, Kaitlyn Trei, Allison Voehringer, Michael Wang, Megan Whitworth and Jennifer Wu.